This first Mindstorm AT-ST is a bit sad the way it walks, but still cool. 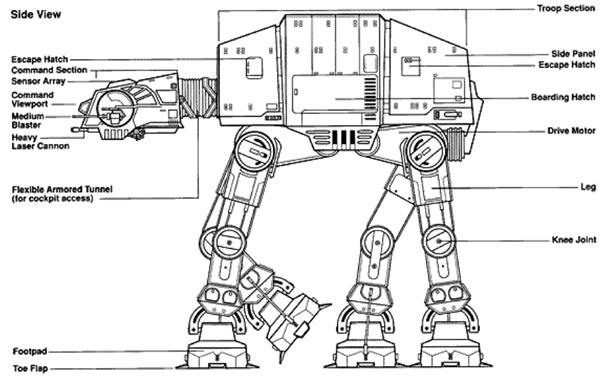 This next one is quite awesome, a fully functional AT-AT. Here is the official Lego Version Being Built. Another one here showing it being turned on. If you are completely from another planet, here is the scene these creations are inspired from.